TMSOFT’s Guided Meditation for Relaxation & Focus will help you relax, de-stress, recharge, and improve focus in just 10 minutes. The narration is specially designed to help your mind and body. Listen to calming nature sounds while guided into a deep meditative state. The soothing voice takes you on a journey of nature, body relaxation, and breathing exercises. Whether you are a beginner or advanced in the practice of meditation, it is easy to follow. Guided Meditation by TMSOFT is a great way to start your day. Making meditation a part of your daily routine offers numerous benefits including positive thoughts, relaxation, focus, and better sleep. 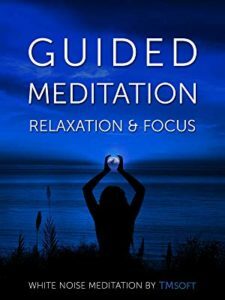 Guided Meditation is available on most music and video streaming services.